LIFE HACKS #1316 WHEN MAKING HARD BOILED EGGS THROW IN ONE - ProudMummy.com the Web's Community for Mums. 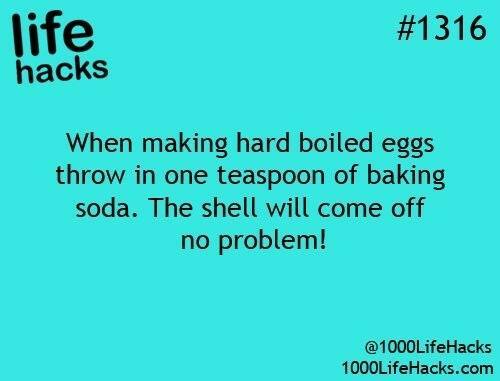 LIFE HACKS #1316 WHEN MAKING HARD BOILED EGGS THROW IN ONE TEASPOON OF BAKING SODA. THE SHELL WILL COME OFF NO PROBLEM!